The Goat Squad | The Greenest Way to Remove Vegetation! 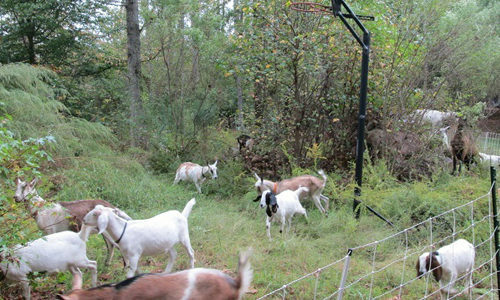 Since 2012, The Goat Squad’s Mission has been to offer vegetation removal, educate people about native plants, and introduce our heard of useful and friendly goats. Got Weeds? 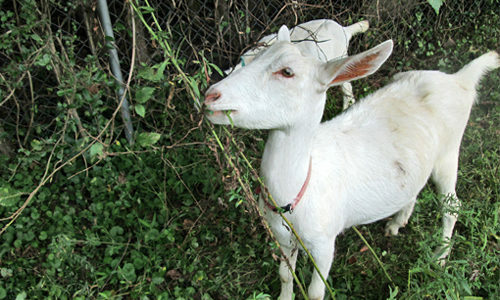 Our goats LOVE eating invasive plants including kudzu,poison ivy, wisteria, honeysuckle, Japanese stilt grass, multiflora rose, english ivy and other undesirable plants. Our knowledgeable staff knows all about plants native to the area, and can help you select the perfect vegetation to landscape your property. 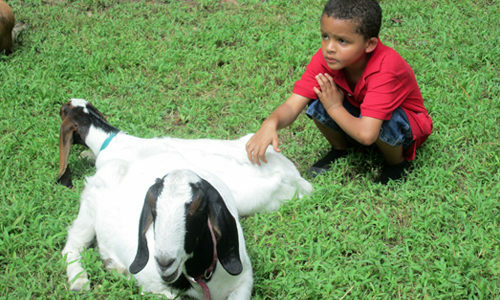 Our beautiful goats are always a big hit at parties and events for all ages! And we even have a gentle donkey available for donkey rides. Since 2012, The Goat Squad's Mission has been to offer vegetation removal, educate people about native plants, and introduce our heard of useful and friendly goats. 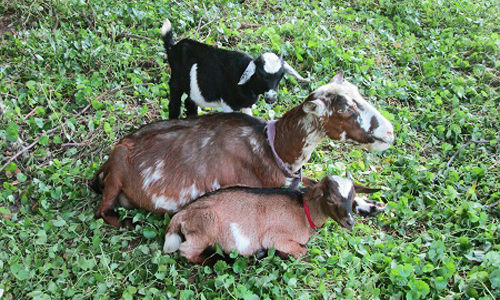 The Goat Squad provides Eco-friendly Vegetation Removal, Native Plant Consultation & Installation, Brush Removal & Mulching, and Friendly Goats for Parties & Events! 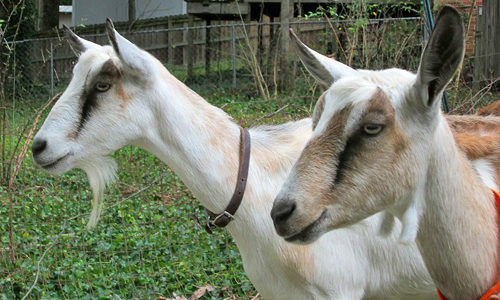 Click here for answers to our most frequently asked questions, and learn about the advantages of using goats for unwanted vegetation removal and how it works.